Will Jose Mourinho have reason to gloat come Sunday night? "Are United playing superb football? No. But a little grit goes a lot and they've now come from behind to win in all of their last three games"
Oh hello there. Grab some binoculars and join me in scanning the horizon. What are we looking for? Well, mythical horsemen, of course. I know they must be due some time this weekend, because I've already seen one tell-tale sign of the impending apocalypse. Yes, friend: I logged on to Betfair this morning and saw that Manchester United are [8.6] to win a football match. I don't have the betting history books to hand (or indeed at all), but this feels like untested ground. If you were around the last time the Red Devils were rated as such rank outsiders for a football match... well, I hope you're enjoying your pension. Now obviously, there is a reason for this. They're playing the best team in the Premier League and possibly in Europe. They're away from home. You could list the number of United players who would get into a combined Manchester XI on precisely zero fingers. City win a lot of games; they'll probably win another one on Sunday. There are lots of things that Juventus do: cruising to the Serie A title with their eyes closed, almost winning the Champions League, making deeply dull docu-adverts for Netflix, tweeting misguided things about ongoing legal cases... but losing at home in Europe isn't usually one of them. When Cristiano Ronaldo scored in Turin on Wednesday night, another victory looked to be on the cards. But United dug in admirably, and the manner of the fightback brought echoes of some of the great European displays of yore. Are they playing superb football? No. But a little grit goes a lot and they've now come from behind to win in all of their last three games. We have grown accustomed to sneering José over the last few seasons. The reserves of charm that used to define his persona are now nowhere to be seen; he now spends most of his time moaning, blaming and knee-capping anyone who vaguely annoys him - mostly his own players. But know what? There are signs that he may not be beyond repair on the lovable rogue scale. 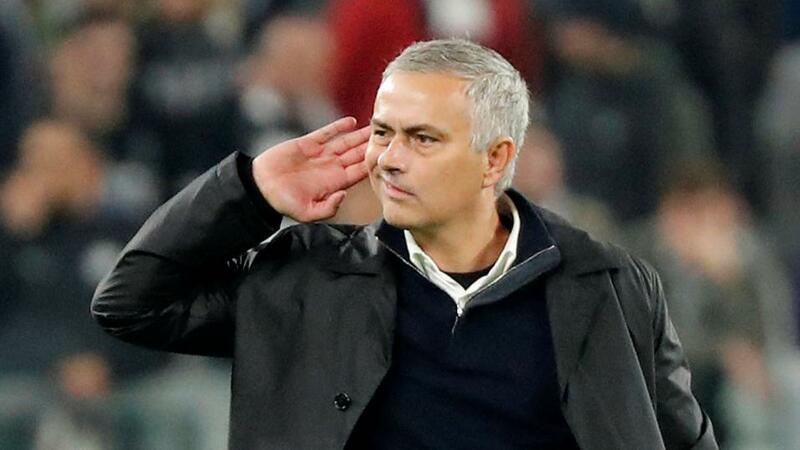 His hand-to-the-ear routine after the Juve game was catty, yes, but it was also objectively hilarious, and if he can start to channel his righteous fury in the right way - by working it into a proper us-against-them rhetoric, say - United could benefit. For all City's muscle-flexing, United have not been cowed on their last few trips to the Etihad. They memorably won there last season, of course, when Paul Pogba dragged them back from 2-0 down, but their two visits before that went pretty well, too: they held Pep Guardiola's side to a draw in 2016/17, and won 1-0 in 2015/16 thanks to a Marcus Rashford strike. In fact, United have lost just two of the last eight meetings in all competitions, winning four. And only Jürgen Klopp has won more matches against Guardiola than Mourinho's five. Laugh all you want, but the man is a wrecking ball and City aren't exactly the tallest team in the world. Just keep things tight for 60 minutes, roll out the heavy artillery and pepper the City box with crosses: easy. You can leave your pass-completion statistics at the door. As any devoted subscriber to Der Spiegel will now know, City are - ALLEGEDLY - about as clean as a your average waste-disposal facility. What better time for United, a loveable, shoestring operation led by the historically pure-hearted Glazer family, to exact a little moral retribution? All together now: "This is for the have-nots!" Donald Trump is in charge of America. If that can happen, Manchester United can win a football match. Although to be fair, if there is one thing Mourinho doesn't have, it's a natural right winger. Eight was always going to be a big ask, let's be honest.